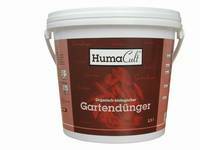 HumaCult is a certified NPK-fertilizer successfully tested in an extensive trials by the “Bundesforschungsanstalt für Landwirtschaft Braunschweig-Völkenrode (FAL)”. 1. HumaCult is slurry dust which sticks to the soil by adhesion and does not sink into the ground. In turn, an even distribution of nutrients is being supplied and is made available to the plant for the long term! 2. HumaCult is being macerated by the plant’s root acid. The plant is consuming the required nutrient portions via a capillary and/or osmotic process! 3. HumaCult production process creates a “positive” charge in the fertilizer. Due to the fact that soil has almost always a “negative” charge, the polarity makes HumaCult particles stick to the ground and do not sink to the ground water! 4. 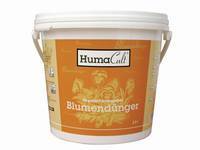 HumaCult remains in place till the final usage by the plant and does not dissolve like mineral fertilizer. One fertilisation per year is enough! 5. HumaCult contains all nutrients in a balanced ratio. This turns into a regular & healthy growth and the plant is only ingesting as many nutrients as needed! 6. HumaCult avoids root etching, caused by excess mineral salt! 7. HumaCult reactivates microorganisms in the ground through a high portion of organic components and work against emaciated soil! 1. HumaCult has a low content of organic pollutants and counteracts a creeping absorption of heavily degradable pollutants, as can happen with wet sludge with contains higher volumes. 2. HumaCult production process causes a homogeneous distribution of nutrients permitting precise analysis and contents adjustment, if necessary. 3. HumaCult distinguishes itself by having a very low content of carcinogenic polycyclic, aromatic hydrocarbon (PAK). 4. 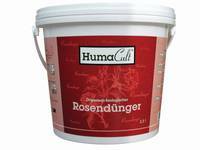 HumaCult increases the pH-value in the root area and supports the ingestion of magnesium (photosynthesis). 5. HumaCult nourished plants show a higher content of the nutrients calcium and magnesium (structural and functional elements of the metabolism). 6. HumaCult mineralised nutrients need to be converted by the plant into a better digestible form. In turn, the nutrient flow is slower with a longer lasting fertilizing effect. 7. HumaCult‘s smaller particle size but active surface area participates in a fast and encompassing exchange in the process after fertilization. 8. HumaCult embedding into the ground avoids erosion on the surface through wind and water. HumaCult is ideal to go easy on resources versus conventional sludge: HumaCult requires 65 % less in transport freight, less storage space, contains less pollutants, is pasteurised and requires smaller quantities on fertilizing areas which also leads to lessening the stress to the soil caused by heavy machinery.